I recently went on a trip to New York and was fascinated with the sight of all the water towers sitting atop the buildings of the city. Here is a collection of drawings inspired by my trip, now available as a print in my Etsy shop. 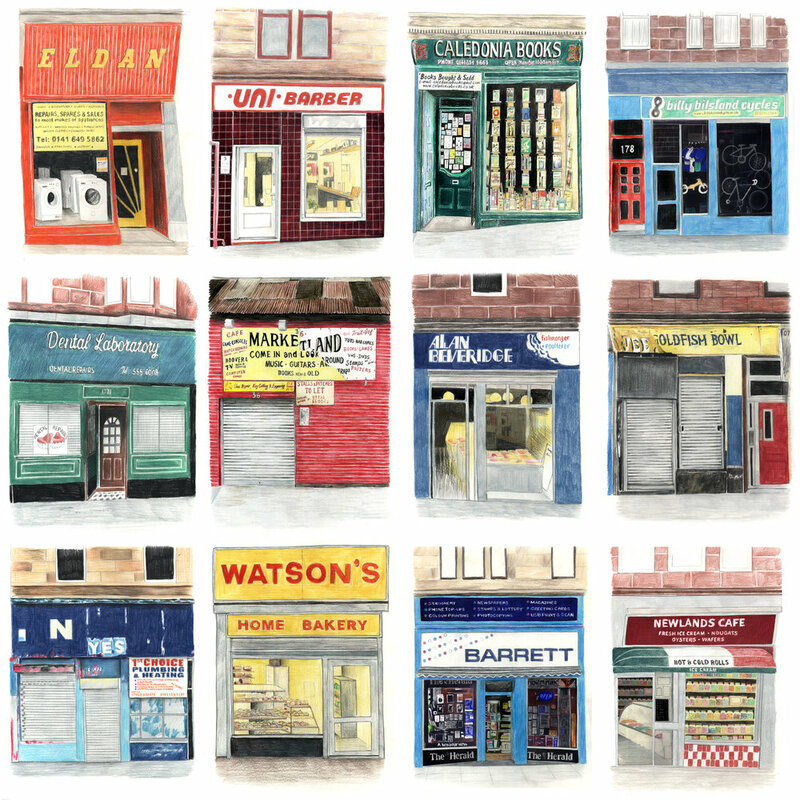 An assortment of shop fronts found in Glasgow. Colour pencil. 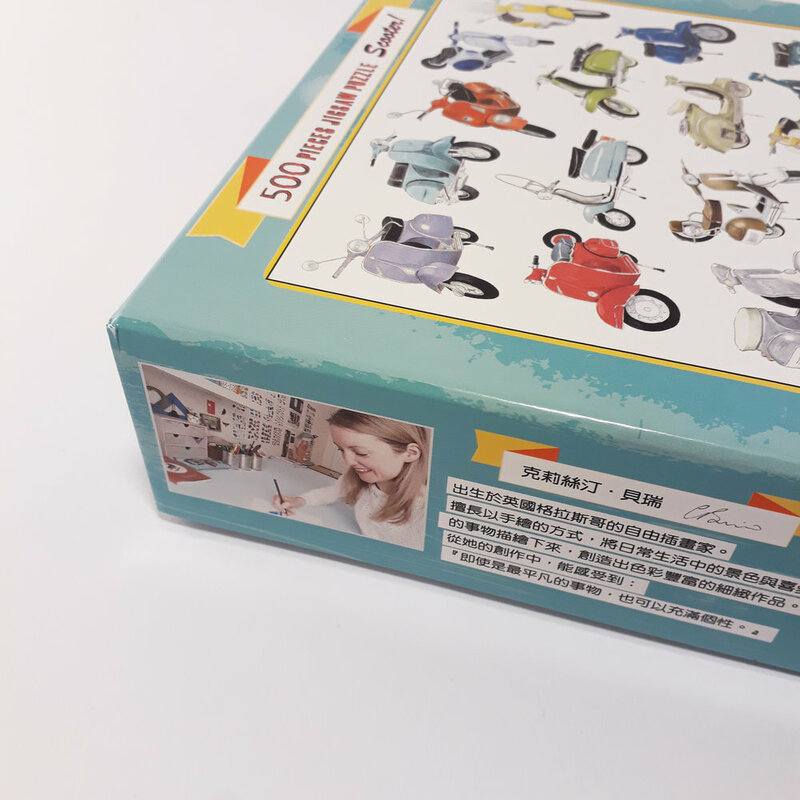 I collaborated with Jie Jin Co on this beautifully made jigsaw puzzle which features my scooter drawings image. The first copies have just arrived in the post! I really love drawing interesting shop fronts and this is one I had wanted to draw for a while - Caledonia Books on Great Western Road in Glasgow. Drawn with colour pencil. Here is a drawing I did a while back of Vesuvio Bakery in New York. It currently features in a post on the Soho Memory Project blog. A new image to add to my Collections series. 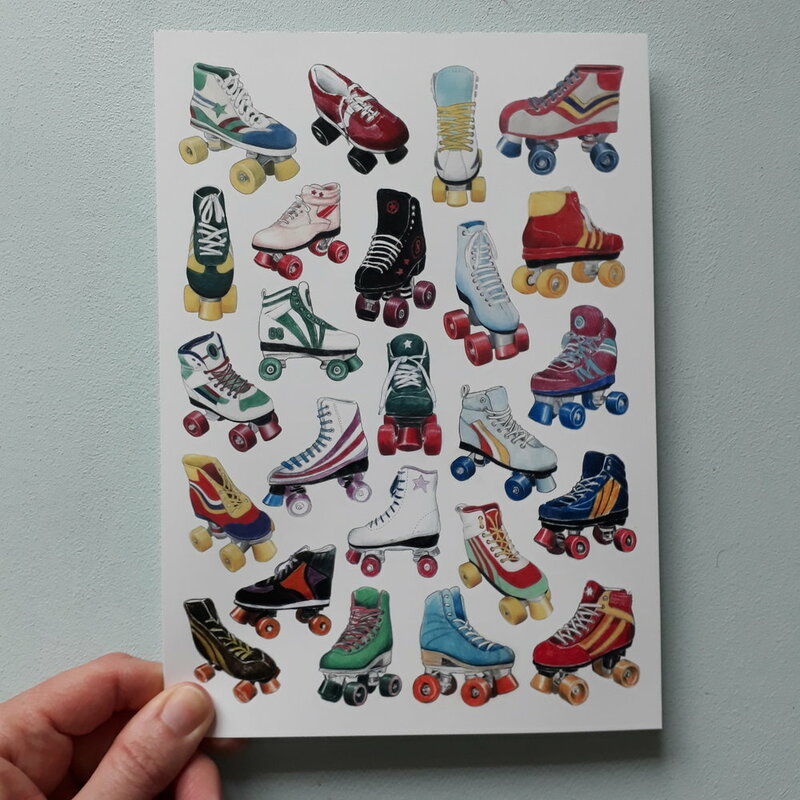 Lots of retro roller skates! Colour pencil. My new website is now up and running! To get things started on the new blog, here's a wee photo of my studio from my instagram feed.